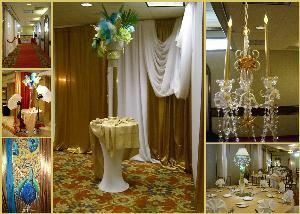 Trightymite Event Lighting & Décor is a full service event production company built upon the philosophy that amazing events don't have to cost a fortune. We create dreams on a budget, a "real" person's budget. From concept to execution and everything in between. •Backdrops & Ceiling Draping •Event & Stage Lighting •Custom Centerpieces & Floral •Chair Cover & Linen Rentals •Stunning Chandeliers •A/V, Projection & Graphic Design We are the DIY's New BFF!